The Great Dane opened its original location just off the Capitol Square in Madison in 1994. Located inside the former historic Fess Hotel, the building dates back to the 1850s, with the Victorian cream brick half of the building added in 1883. While their flagship location continues to thrive, they’ve expanded to five locations and counting. 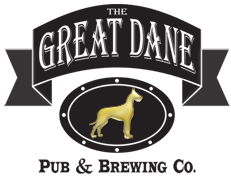 Great Dane’s beers include Peck’s Pilsner, the Wooly Mammoth Porter, Potters Run IPA, Old Glory APA, Landmark Lite Lager, Crop Circle Wheat, Speedway Indiana Pale Ale, Emerald Isle Stout, the Black Earth Porter, and more. Availability can vary by location, but there’s always a large selection on tap.